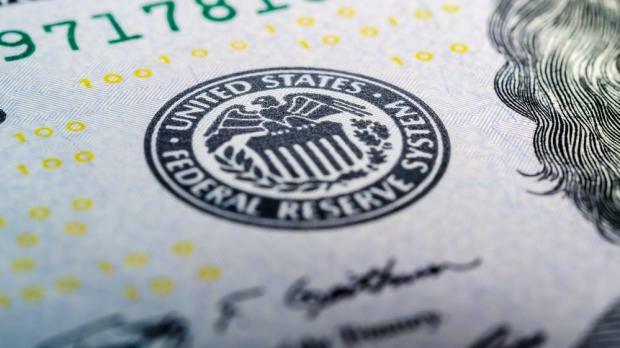 It is of no surprise that the Federal Reserve’s inflation target is 2 per cent, a level which was exceeded over the past months. That being said, given the yet unclear economic path and the possible negative market reaction, policy makers are not willing to pronounce this as a mission accomplished especially after spending the majority of the past six years below target. After raising rates in March, the newly appointed Fed Chairman Jerome Powell and his colleagues, maintained a steady monetary policy. That being said, until they get together for another meeting in June, they won’t provide any quarterly update of their projections for the rate path. Consistent with its statutory mandate, the Committee seeks to foster maximum employment and price stability. Thus, it is expected that should further gradual adjustments occur in the stance of monetary policy, economic activity will expand at a moderate pace in the medium term and labour market conditions will remain strong. Inflation on a 12-month basis is expected to run near the Committee's symmetric 2 per cent objective over the medium term, while risks relating to the economic outlook appear more or less balanced. Another yet important indicator are today’s non-farm payroll numbers which should give the Fed additional guidance where the US economy is heading, with stronger numbers possibly supporting a tighter monetary stance. Economists’ surveys are looking for unemployment to edge down to 4 per cent from 4.1 per cent and expect the payroll growth to expand by 192,000 in April from the 103,000 figure reported in March. These job numbers will be announced later on today. Furthermore, rising price pressures are inspiring the US central bank to press ahead. Data showed that the personal consumption expenditures price index excluding food and energy costs rose 1.9 per cent in March from a year earlier, up from a 1.6 per cent increase in February. According to the median prediction of officials released in March, policy makers forecast core inflation of 1.9 per cent in the fourth quarter of this year and 2.1 per cent in the closing three months of both 2019 and 2020. Undoubtedly, if inflation rises above 2 per cent for a sustainable period, then this would be of comfort to policy makers to uphold their tightening momentum phase. Likewise, unemployment figures are also another clear indication where the economy is heading - lower unemployment figures would imply economic expansion, thus giving the Fed another reason to continue increasing its rates. Indeed, Joachim Fels, global economic adviser at Pacific Investment Management, said that the aforementioned point would be alarming for policy makers since the lasting pressure on inflation would not come from temporary factors such as the imposition of tariffs on some imports. It is a known fact that rising rates always hurt fixed-income investments — floating-rate instruments being the exception under normal market conditions. Theoretically, as interest rates rise, the prices of bonds fall implying higher borrowing costs for companies. In fact, after decades of generally declining rates investors will now experience an erosion in capital. This does not mean that bonds suddenly become a non-profit asset. These fixed-income investments remain the most important asset to diversify the risk of owning stocks. While most market analysts are expecting rates to rise, nothing is guaranteed, and when the stock market has its next per centage dip, your bond holdings might be given a boost if monetary politicians cool down their pace in terms of tighter monetary policies. It is no coincidence that a market correction and jump in volatility is happening due to the Fed’s tightening – it happens nearly every time and across all markets. That being said, such volatility might offer investors opportunities. Indeed, it is important to point out that given an expanding economy, companies should do well and hence, the servicing of their finances should be sustained. Disclaimer: This article was issued by Maria Fenech, CCIM Intern at Calamatta Cuschieri. For more information visit, www.cc.com.mt. The information, view and opinions provided in this article is being provided solely for educational and informational purposes and should not be construed as investment advice, advice concerning particular investments or investment decisions, or tax or legal advice.